A tasty new crop (2018/19) Rwanda at a steal of a price. An upfront warning, this is a nice screen of coffee (few to no broken beans) but is a small screen. It will still work in any home roaster but you may want to shake your Behmor drums before putting them into the machine and keep an eye on your Nesco while roasting to make sure they don’t jam the auger. 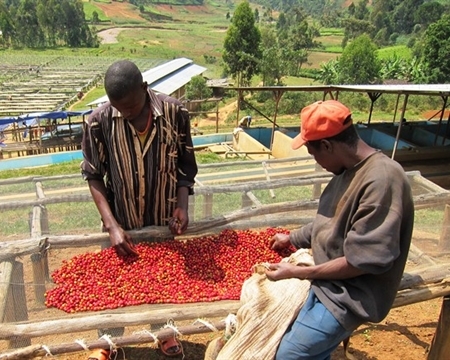 Abakundakawa, or “those who love coffee,” is a cooperative founded in 1999 in the Northern provinces of Rwanda. The cooperative owns two central washing stations, with a third washing station planned to open in 2018. Abakundakawa is part of the larger Misozi group, which helps with processing and certification paperwork. 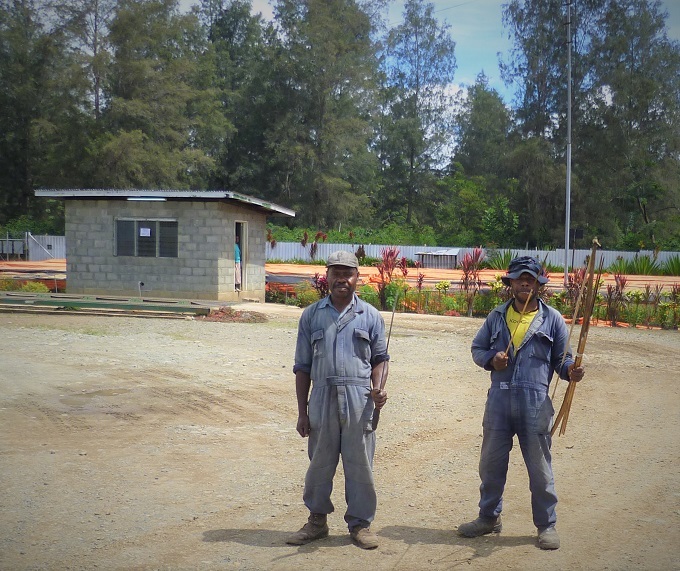 The cooperative invests heavily in programs and infrastructure for its members, including a new community center for some of the farmers furthest from the main mills. The cooperative is also involved in dairy production, giving a calf to different member whenever a cow gives birth. The coffee that they produce is washed, fermented for 36 hours, hand sorted, and dried on raised beds. The pulp is distributed back to farmers for use as compost, and final milling is done in Kigali before export. Nice and chocolaty with a bit of fresh acidity. A bit floral upfront especially at the lighter roasts. Nice lemony citrus tones balanced with a smooth and rich chocolaty factor. A little hint of malty caramel can be found. A bit more delicate of a cup than most Africans, doesn’t hit you over the head with monster herbal or bakers chocolate, quite smooth, clean and easy to drink. Works for darker roasts as well, bigger bodied and brings some of those rougher African bakers chocolate notes when into 2nd crack along with some smokiness. A nice easy coffee to roast and good from light to dark. Recommend a light/medium roast on it as long as you are okay with some acidity (not over the top). If you dislike acidity, make sure to get it close to 2nd crack if not into it, drops the acidity level to almost non-existent.